With great detail in every element of this business card design, our innovative design template with exceptional quality graphics, readable fonts, and aesthetic color scheme are great for your brand recognition, one-on-one contact, as well as online advertising or Social Media sharing. We have a vast range of attractive and professional Photoshop business card designs that meet every detail of your requirements and is unique to your business. These customer-centric business cards are great conversation starters; they will open new doors for business opportunities while helping you strengthen existing relationships. All our PSD business card designs are available in printable formats to meet your specific business needs. 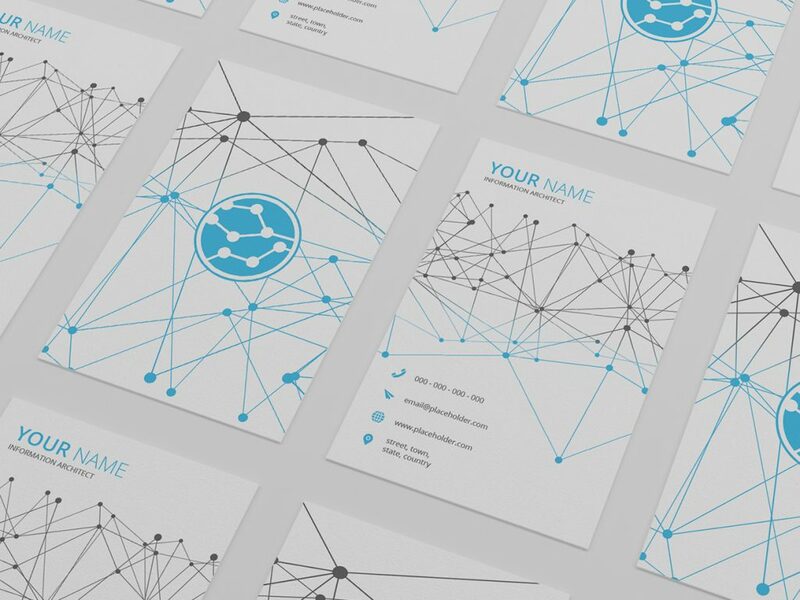 You can’t go wrong with our business card templates! Whether you are running a 10-employee business or ten thousand, our innovative business card designs and solutions are tailored to meet your business’ advertising needs. Order your business card today! Become more visible! Up your game and take your business to the next level by ordering our exclusive and innovative business card design. To guarantee the quality of our products, all our card designs are copyright-protected and print-ready! So you can only edit the logo and input your personal business details. Other edits would require an express permission from Znort Designs. * You need Adobe Photoshop CC2017 or higher to edit this design. The differences between the free products and the payed products are simple. You’ll have to subscribe to our newsletter, but that’s awesome because you’ll get the latest products and the top 3 deals of the week straight in your inbox. Product link will be send to the submitted e-mail address, be sure to check your spambox if you didn’t get it. The free product doesn’t contain any other limitations (unless otherwise stated), so you’ll get the full experience for free. You’ll have full support on the product, contact us through the support form and we’ll be happy to help you out. We provide customization for both free and paid products, contact us for more information. Remember that custom work doesn’t come for free. Both free and paid products can’t be resold or redistributed.